Humility Is Embedded In Doing Science, But What About Spirituality? : 13.7: Cosmos And Culture Barbara J. King talks with 13.7's own Marcelo Gleiser about his new book, in which he addresses his view of spirituality — one that doesn't invoke "the existence of supernatural spirits." A slim volume arrived in the mail this spring and captivated me because the author's joy in doing science and experiencing nature spills out on every page. 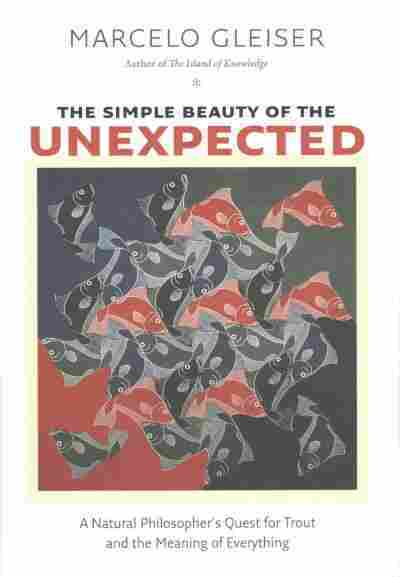 Now the book is published, with a pretty nifty title: The Simple Beauty of the Unexpected: A Natural Philosopher's Quest for Trout and the Meaning of Everything. Its author is Marcelo Gleiser. 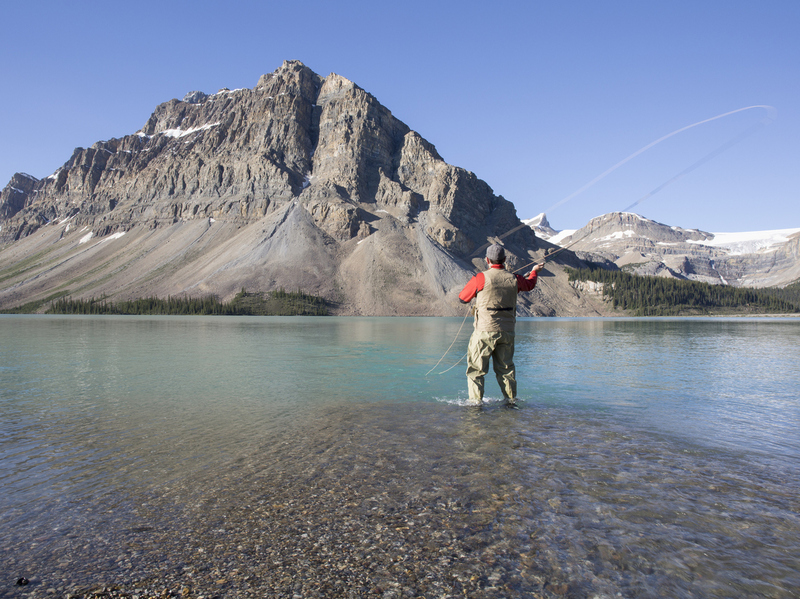 Yes, this is 13.7's own Marcelo, and the "everything" in the title spans from pressing questions in theoretical physics to ethical issues in catch-and-release fly-fishing. Last week, I posed questions to Marcelo about the book. Here are his answers, sent to me via email. A theme of Simple Beauty, Marcelo, is that we all live surrounded by mystery, uncertainty and, even, unknowability, and that we can and should embrace these things. Do you sometimes find that people are surprised to find a physicist is so intrigued by questions of this nature? Yes. Many people have this distorted notion that physicists know everything; or, at least, that physicists have a belief that reason can conquer all. The point I try to make is that this is not how science works at all. Quite the contrary, science is inspired by ignorance, by what we don't know about the world. Every discovery brings with it the seeds of new questions that we couldn't have contemplated before. Hence my metaphor of the Island of Knowledge, surrounded by the ocean of the unknown. Science allows us to expand the island. But the ocean remains. Could you give us a favorite example of unknowability from physics, and say something about the larger lesson we may learn from it? The fact that we live in a bubble of information and can't know what's outside. According to the Big Bang, the universe emerged 13.8 billion years ago, and has been expanding ever since. We have very firm evidence to support this theory. Now, given that light has a finite speed, it could only have traveled so far in this time. This means that we can only get signals — information — from events that occurred within this bubble. The universe may continue "out there," like the ocean continues beyond the horizon, but we can't know what's going on. This means that human knowledge about nature can't be all-pervasive, that there are aspects of physical reality that remain outside our reach. This should give us a measure of humility. Where does spirituality fit into this picture for you, Marcelo, and how are you defining that term? Spirituality is a word that has been kidnapped by religion and that invokes the existence of supernatural spirits and the like. I use the word in a very different way, as an expression of our awe of nature, of our attraction to the mystery of existence, to something intangible. The more I learn about nature, the more spiritually connected I feel to it, as I see myself as part of something grander than we are. To think that we are animated molecular machines made of the remains of stars dead billions of years ago and capable of self-awareness — this, to me, is very spiritual. "That's what we should all be after, trying to expand our mindfulness, to connect with a grander reality, mysterious and unknowable." On my end, I'm more likely just to go out walking and feel fantastic because I'm in a gorgeous landscape surrounded by wildlife. Sure, my view overlaps with Marcelo's because I feel awe at times. I don't think the term "spirituality" adds much, nor do I think much about unknowable grander realities. I do think about evolution and natural selection, which is cool enough for me. To each her own! OK, let's get back to the Q&A. One thing I love about the book is that I came to know you better as a person — as a fly-fisher, a trail runner and a vegetarian, as well as a physicist and writer — and I learned a bit about your childhood in Brazil, too. What compelled you to write in such a personal way? This book is, as you say, a more personal account of my life as an immigrant, a scientist, a father and a lover of nature. It answers to different calls, both personal and, more broadly, as a different way of bringing some of the central questions of science and philosophy to a general audience. A book like this, which is part memoir, is a sort of journey, where the writer is the guide. The readers need to know who is guiding them in order to judge if the journey is worth taking. The book tells the story of my transformation as a seeker of truth about myself and about nature. Writing it was, for me, a kind of pilgrimage. I'm hoping it will be an inspiration to many of its readers as well. Given the topics I often write about here, I was moved profoundly by many passages. Here's one example. You're writing about our moral duty to respect nature, to respect the diversity of life, and then you say it's "More than a moral duty, it is something we should celebrate, knowing that each and every being carries with it the seed of who we are." Can you talk about this a bit, especially with regard to vegetarianism and fly-fishing? In the book, I explore how modern science is changing the old Copernican view that the more we known about the universe the less we matter. Quite the contrary, the more we learn about life's diversity, about our planet, and about the history of life here, the more we realize how rare and precious Earth is, together with all its inhabitants. Plant, bacteria, human or rhino, we are all made of the same star stuff, sharing the same common ancestor, the same cosmic past. This, to me, is a stunning confirmation of the unity of all life. In the transformation I relay in the book — its dramatic "arc" — [readers will see how] it will affect my relationship with all living creatures, trout included.